You must be a member of the Bologna Modena Activities Group to attend this activity. Would you like to join this group? This month, we have organised an afternoon event at a quaint tearoom that opened recently in Modena. 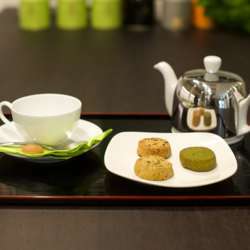 We can get to try teas from all over the world; there are more than Protected content in the collection to choose from! Their cakes look good too. It will be a chance to chat in a calm and relaxing environment! Spaces are limited so book early. With Griffin's Irish Pub closeby, there is another type of watering hole nearby as needed!